I'm not sure if this taco soup recipe came from my Aunt Sharon or Lori in the Big D or if gran passed it down. I am sure that it will tickle your taste buds. Cook beef and onion and then add other ingredients. 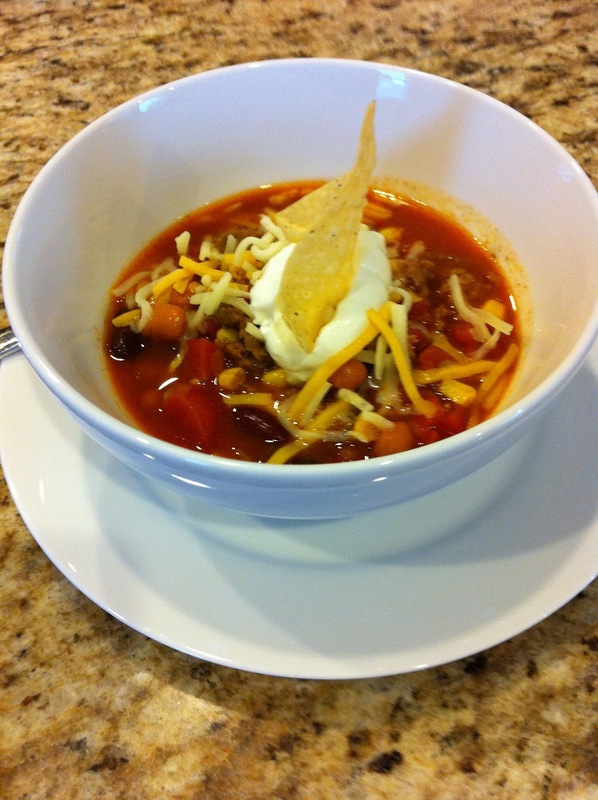 Top your soup with shredded cheese, sour cream and tortilla chips. A great change of pace from your regular Tuesday tacos. Love Taco Soup! I make mine a bit differently, but that's what makes this soup so great, right? Put in what you have, leave out what you don't and it's always good! Better eat it now before it gets too hot there!